Today we are featuring some great multicultural activities for kids that sneak some learning in with a ton of fun. Our best blog pick this week is Kid World Citizen and we are featuring some of our favorite multicultural education activities from Becky’s blog. Homes Around the World – This post is an amazing tour of some kid homes around the world and let’s kids explore what it might be like to live in them. Maps for Learning – Becky reviews 5 maps that she loves and gives insight on what might be the best map choice for your family. Nelson Mandela’s Autobiography for Kids – The Nelson Mandela story and lesson plan along with additional learning resources. My Place in the World Project – This is a full kids geography project that gives geographic perspective to kids. Make Multicultural Paper Dolls – This is my favorite post of all! It is a precious activity that Kid World Citizen did for International Week. It is a Multicultural Paper Doll Parade! Diwali Rangoli Art from India – Beautiful, colorful art with a lesson. You and your kids will be on the driveway creating masterpieces in no time. 3D Salt Dough Maps – What a fun project! Making a 3D Map out of salt dough, then painting and adding map details. Chinese New Year w/ Props and Stories – This article has a lesson plan for Chinese New Year celebration, but also tells the story of a celebration. Get an International Pen-pal – Strategies for finding a pen-pal. I had one as a kid and that trip to the mailbox was always filled with excitement! 5 Board Games that Teach About the World – We love games at my house, so this is a post that I have bookmarked for later. 5 great games to keep kids having fun while learning. The Danger of a Single Story – I loved this post about why it is important to telling the whole truth. Many times, often inadvertently, we tell a fraction of the story which leads to cultural stereo-types. What is Geo-Literacy? – Geo-literacy is not only knowledge of geography, but it explores the relationship between human systems and the environment. Cindarella Story Around the World – This is really fun. Find the Cindarella story from various cultures! It is more common than I ever imagined. Please stop by Kid World Citizen. You will find a ton more fun things to do with your kids that teach them about the world around them. I have been engrossed in Becky’s blog for hours! 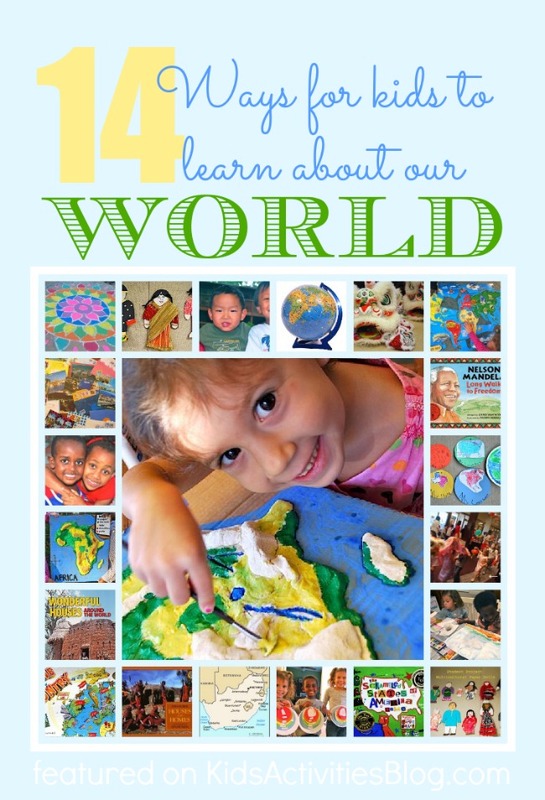 Thanks for sharing all of these resources for learning about the world. We enjoy our Around the Worlds in 12 Dishes Series too! We shared your post on our Bilingual Babies PInterest Board. Thanks so much Kim! So much fun! Useful info. Lucky me I discovered your website by chance, and I’m shocked why this coincidence did not came about in advance! I bookmarked it. process. Keep the stress to a minimum using these tips. Great article! Just want to let you know we shared it at our Facebook page at https://www.facebook.com/ripplepublishing. Thank you for sharing an amazing list. It is great to be able to come to one place and find a list of great links that we can use to teach our children about other cultures in the world, all without stepping foot outside our own door.